So as announced here, here is my first collection of poetry. It’s genuinely beautifully designed. Click here for a peek at some poems. Here is a very kind review in Am Erker Nr. 71. Here is a review (pdf) of the collection by Wolfgang Ratz. Here is the publisher’s page where you can order the book, if you want. 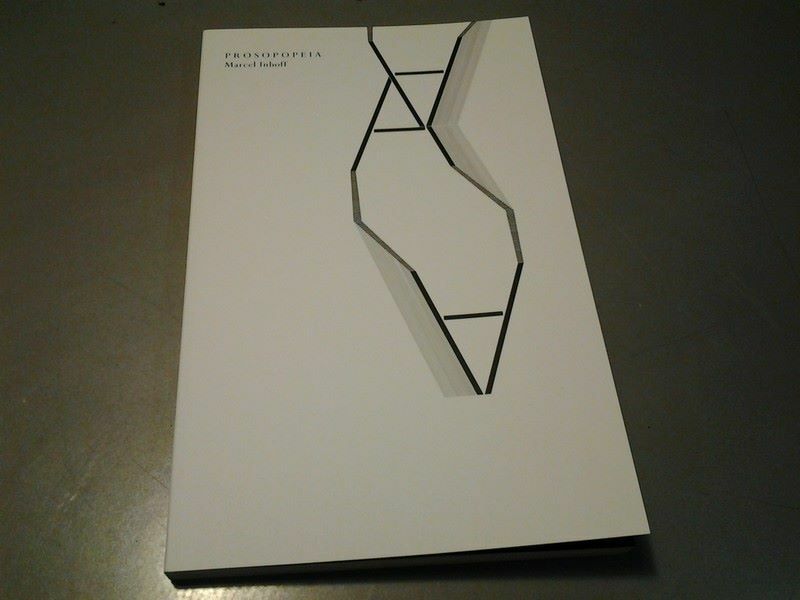 Or email the publisher directly at order@edition-mantel.ch. Order it for a Uni library if you can do that. Again, I can’t do anything about the pricing, although I’m sort of hoping to find out eventually how to have it available through German bookstores. What is Prosopopeia? Congratulations, both on being published and on such a striking edition. 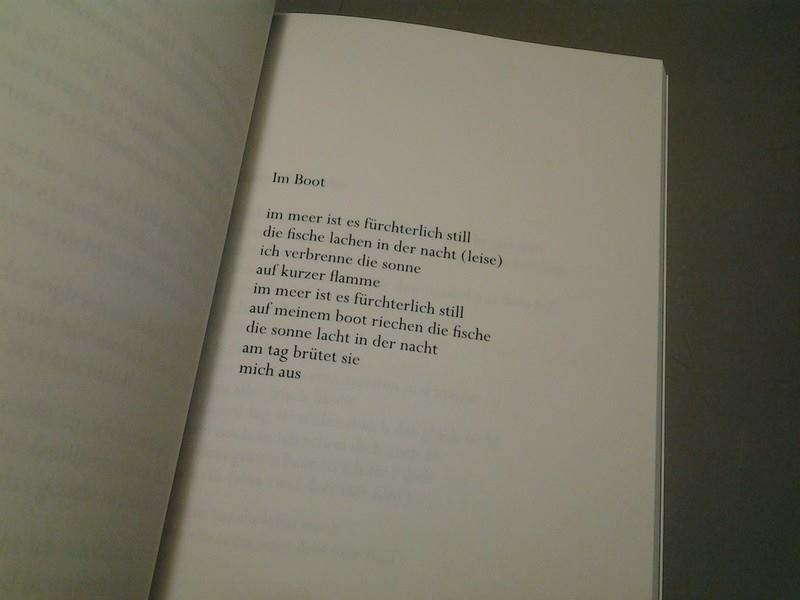 Alas, I do not read German, but I certainly love the book’s appearance. I’ll see if our university library will order a copy. Thank you! I do love the appearance, as well. A young designer fresh off the university did it and I was/am endlessly impressed. Thank you for your kind words, and also and especially for the possible uni acquisition. Congratulations! 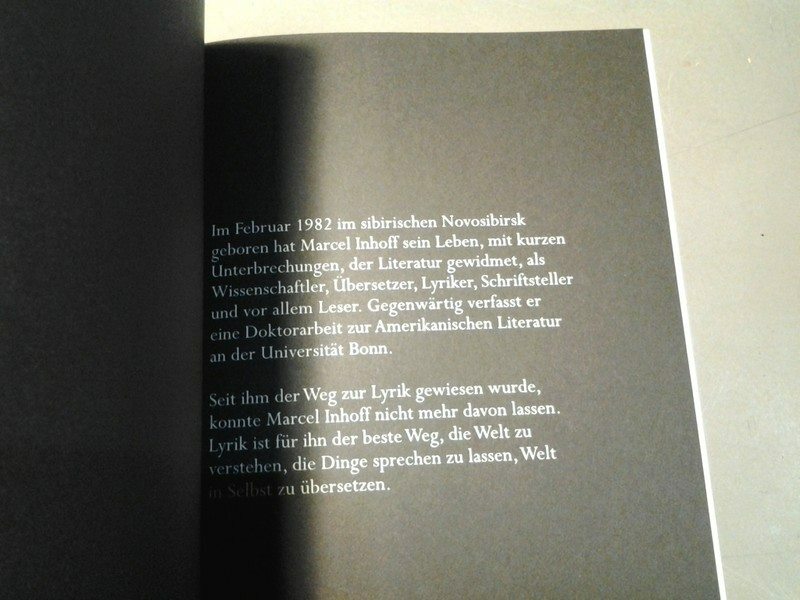 I wish I could read German, alas I tried to learn for two semesters but it was a rather disastrous and vexing affair. If you click on “Bestellen” on the page it opens an outlook link for an email to be sent to order@edition-mantel.ch and if you click “Kontakt Edition Mantel” on the page it opens an outlook link for an email to be sent to mail@edition-mantel.ch.